For nearly 20 years, Tom has specialized in retirement planning. His passion is to help people avoid their greatest fear: outliving their money. His aim is to be your long-term, trusted advisor. This means meeting with you on a regular basis, reviewing your needs and offering guidance throughout your retirement. 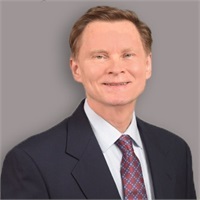 His areas of expertise include Social Security and Medicare optimization, estate planning, how to reduce stock market risk, securing assets, tax reduction strategies, IRA and 401K rollovers. Tom believes that retirement should be the best time of your life. His goal is to help you safeguard what you have worked so hard to save, so that you are secure in your retirement.